We have finally moved and have spent a whole week in our new home. Yea!! The girls are still struggling to get into a new routine in the new house. They were driving me particularly crazy this morning, so I we put their energy to use. 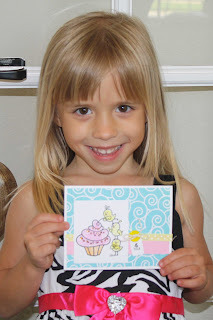 The Little Hands Challenge Blog started a new challenge on Friday. 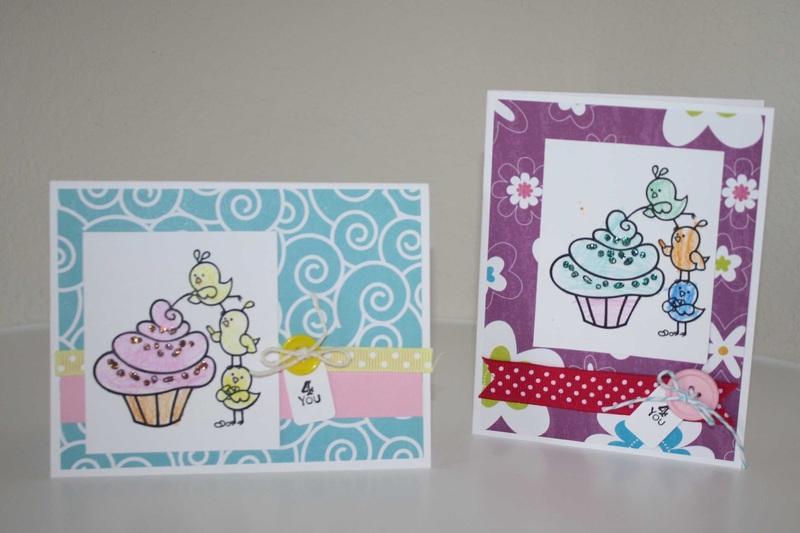 Its' theme was Cupcakes! Yum!! 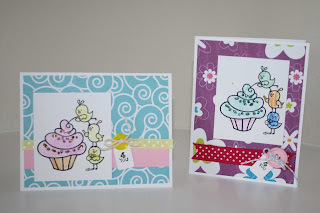 I found a few digi images for the girls to choose from, and they both chose the same adorable cupcake and chick image from Pink Cat Studios. The girls did their own coloring and chose their own supplies. I did help with the cutting. They were both particularly excited to get to "stamp" the sentiment to make the tag. I guess you can see that they definitely watch me make my cards. They ended up using a lot of the same elements I put in mine. Head on over to Little Hands and check out the first challenge of June and get your kids involved. 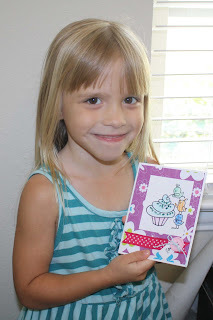 Super cute....cards and kids ;) Thanks for joining us at Little Hands Challenge Blog!!! Sooooo Sweet!!!! Leaving here with a big smile on my face! Oh! The girls are super excited! Thanks for the great challenge! !